Chu Ling, wife of cartoonist Jiang Yefei, has claimed that Chinese agents posed as United Nations officials in order to abduct her husband and fellow rights-advocate Dong Guanping from Bangkok on November 13. Both men held refugee status by United Nations decree. 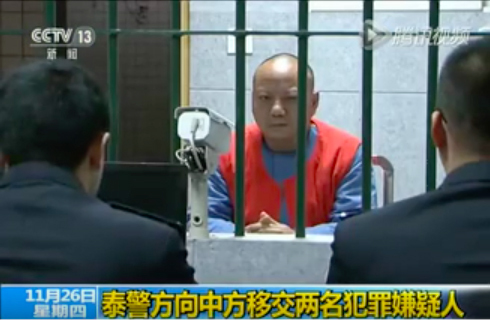 The Chinese government has charged Jiang with “trafficking” by helping Dong Guanping in his flight to Thailand, but it’s been suggested that his arrest is also related to China’s mass arrest of human rights lawyers and activists in July. On December 3rd, Jiang and Dong were shown on CCTV, Chinese state-run TV, being interrogated by officials. Concern has been raised over Jang’s appearance in that video: Jiang’s left eye appears swollen, and he speaks with difficulty and has trouble trying to straighten up, possibly an indication that he has been beaten. Chinese Amnesty International has called for the Chinese government to free Jiang and Dong unless they are charged with a legitimate international offense. 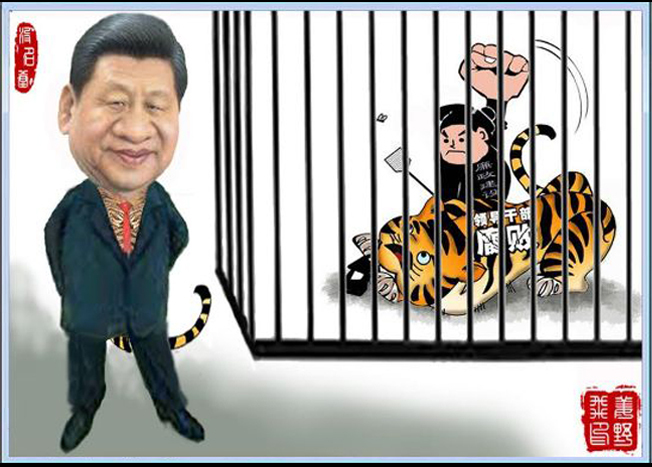 Jiang Yefei was jailed and tortured in China in 2008 for cartoons critical of his government. He fled to Thailand later that year, reportedly after hearing he was to be arrested again. He has been living in Thailand since then, awaiting refugee resettlement. Human Rights Watch has posted an open letter to Thailand’s Prime Minister, General Prayut Chan-o-cha, in protest of Thailand’s complicity in the forced repatriation of Jiang Yefei, Dong Guanping and other Chinese dissidents. The military government of Thailand is not a signatory to the UN convention on refugees a does not recognize political asylum.